Lela’s 5th Grade Curriculum: 2016~2017 – Happy. Homeschooling. Housewife. Our school year is off and moving fast! This year, I decided to take the advice of a former homeschooling mom and ‘live through‘ my plan before I commit to it. That has been some of the best advice I have ever received (and I now apply it to all things–not just homeschooling). That is another post for sure! But now October has finally come, and with it cool crisp mornings–which I love. We worked out our schedule kinks in September and are all settled into what looks to be a pretty amazing year. So, like last year–I thought I would share what we are learning this year in homeschool. Instead of doing all three children at once–I decided to dedicate a post to a child. So up first, my darling first-born, Lela who is in 5th grade! Lela is feeling the pain this year as a 5th grader. There are more books, more classes, and more work. And it is also a lot harder too. We are so proud how she is adjusting to it all! 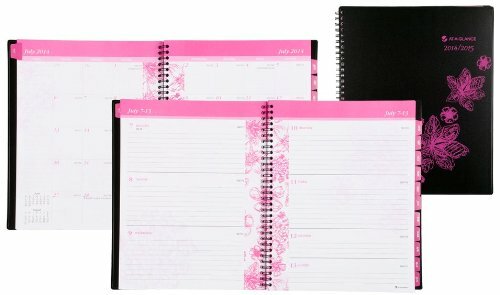 First thing first, she got a real planner! This was not an easy purchase. We both almost drove each other batty trying to find her the perfect planner. She was drawn to the fancy artwork, I was looking at what was practical (and cute…cute does matter) and in the end we settled on an At-A-Glance planner from Staples. This year Lela is really learning about personal responsibility, time management and studying. Every morning before our first class together we check in with our calendars. This usually takes about 10 to 15 minutes but it helps her ‘see’ her day and also goal set. She loves this special time together with me because it makes her feel rather special and it helps me check in with my own calendar. Another big change this year is math. Not the program, we still use Saxon. (if you want to check out my review of the program click here). The teacher has changed. My husband, Khari, is Lela’s primary math teacher and I function as his assistant. We are so loving this change. Khari is a math whiz and I…well am not. So I am excited Lela is being taught Math 6/5 by someone who has a passion for it. English is composed of many different moving parts. This year is no different. Lela pretty much self-paces through Spelling Workout E, Explode the Code 7 &8, and Vocabulary from Classical Roots.For Literature I am using Teaching the Classics: A Socratic Method for the Literary Education. Every Tuesday we head over to my sister’s house for Village School. This year Lela is at the table with her older cousin, Linda. Village School begins with a sit-down lunch prepared by my big sis, Cherie (thank you so much). She also sends me home with dinner (amazing right)! During our lunch we have our Faith Talk which is lead by Cherie. Every week we have a conversation around the following two questions: When and how did you encounter Jesus this week? What is another life practice of Jesus that we should include in our life? Everyone participates, including the four year old. I am so grateful for this time–for the intentional space created to invite the Lord in and to witness to one another. After lunch we do Science. Science this year is bond to be fun because, well we have Professor (Auntie) Pam helping us out. Our science experience was so enriched last year by the presence of Professor Pam who dropped by and conducted fun and engaging labs including dissecting a frog! This year it is all about our universe. That is right, we are going to be learning all about astronomy and I for one and super excited about it. Like history we are using several different resources to build out this program. We also have some pretty cool field trips lined up including the Hayden Planetarium in New York! Science is followed by Grammar ( for a review of the program click here) and Humanities and Composition course. This is the year of Ancients so all of our reading material stems from this era. We are currently wrapping up our first unit, Creation Stories. Our history program goes hand-in-hand with our Humanities studies, that is right we are learning about Ancient Times. I am using several resources to pull this together this year. I will be teaching all three of my girls at the same time, so I decided to create a curriculum that allowed me to do just that. The great thing about the Ancient period is there are tons of resources and great ideas on the internet. I am looking forward to the girls developing their own civilization, creating a time capsule, building a pyramid out of sugar cubes (or chocolate cake…I can’t decide yet), and oh, so much more! In addition to learning about our ancient past, Lela is studying U.S Geography. I can’t tell you she enjoys this class very much. “Map work doesn’t excite me mom, but hey, I will push through it!” Well, that is all a mom can ask for right? Right! 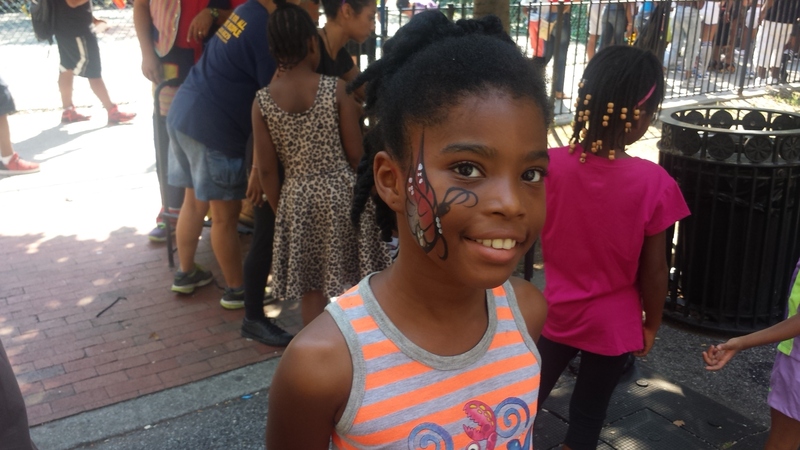 Lela is also studying two languages this year, French and Latin and she is eager about both. After her first day of Latin at our co-op, she told me. “Mom, I am going to master Latin!” I gave her a big high-five. I am not exactly sure what it is about Latin that she loves. It could be her teacher or her textbook, or maybe it is both. The text she is using is Minimus Latin Program. We have the workbook and audio cd and she loves this program–she is completely engaged. It could be that very cute mouse. Latin was a subject I wasn’t thrilled t0 teach. So I was over-the-moon-and-back excited when I found our co-op was offering it. Thank you Ms. Fay!! Lela’s uncle knows French and I think that is why Lela is so excited to learn French. She is using Rosetta Stone, Level I this year. I know the program has worked for many folks and am anxious to see how it works for Lela. For current affairs we are doing something new this year. Last year I printed out articles for Lela to read and respond to. This year, Lela goes to a website, Tweentribune, and logs in to find her work that she is suppose to complete. She reads the articles, takes a short quiz, and posts comments. She LOVES this! She wants to read more and more. She really enjoys reading other comments by students and then sharing her opinion. 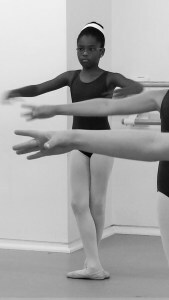 For physical education, Lela takes ballet at the Washington School of Ballet. She is in level 2 and is also feeling the difference. “Our teacher is nice but tough. We work hard!” Those were her words after her first day of class. This is the first year where she has actual ballet homework after every class. She is also in the Nutcracker again–3rd year! She is a doll and is overjoyed. For the arts, Lela is continuing studying guitar and is taking an art class at our co-op. She really does enjoy both. The class Lela is most excited about this year is Business 101. 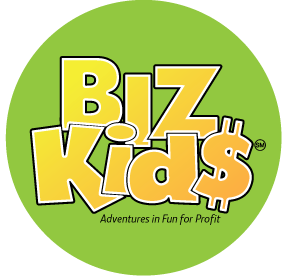 Last year we incorporated BizKid (the tv show) into our curriculum. It is a great show and really got Lela interested in becoming a ‘BizKid’. This year, I decided to create a class around it. In this class we hope (it is all a hope right) to develop a business from thought to plan to marketing to transaction. I think it will really help her understand how money works. I will surely keep folks updated with our progress. That is it for Lela! This is such an aweome post and a true testament to your commitment as a teacher. However, one correction .. this is Lela’s 4TH YEAR in the Nutcracker production. GO LELA!